This is the first part of our epic meal. It also has the least action photos because well, I was helping Patch… but not in terms of cooking. When he’s cooking, all of Little Patch’s duties would be mine while he cooks. That didn’t take long for me to calculate it’s a good trade of my baby sitting service for a gourmet meal. Oh wait, that child is mine too. 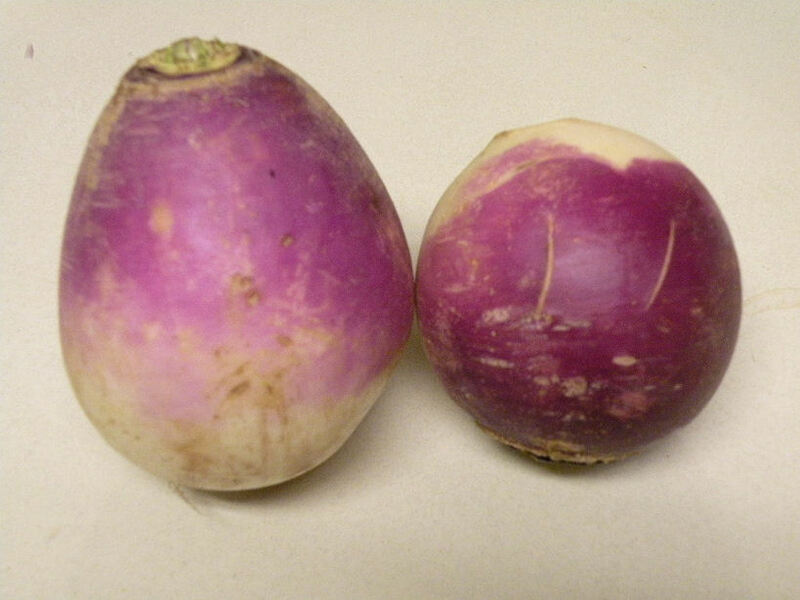 I love turnips, radishes and beets. Sometimes I get them confused even though eating beets makes my teeth look like Gollums afterwards. 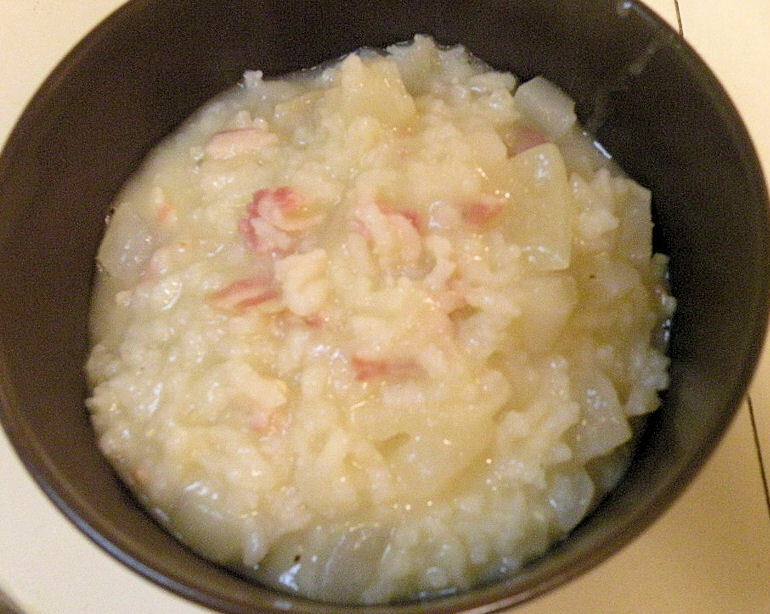 Ingredients: 2 medium turnips (1cm dice), 1 medium onion (1cm dice), pancetta (Gordon calls for bacon), 150g risotto rice, 800ml chicken/veg stock, 5-6 tbsp freshly grated parmesan. This calls for parsley but I don't like parsley so we left that out. How to pick turnips - choose small turnips with unblemished skin that's dense and heavy for its size. Overgrown turnips may seem easier because you don't have to peel as many turnips but they can be woody tasting. Add butter and oil in the saucepan. 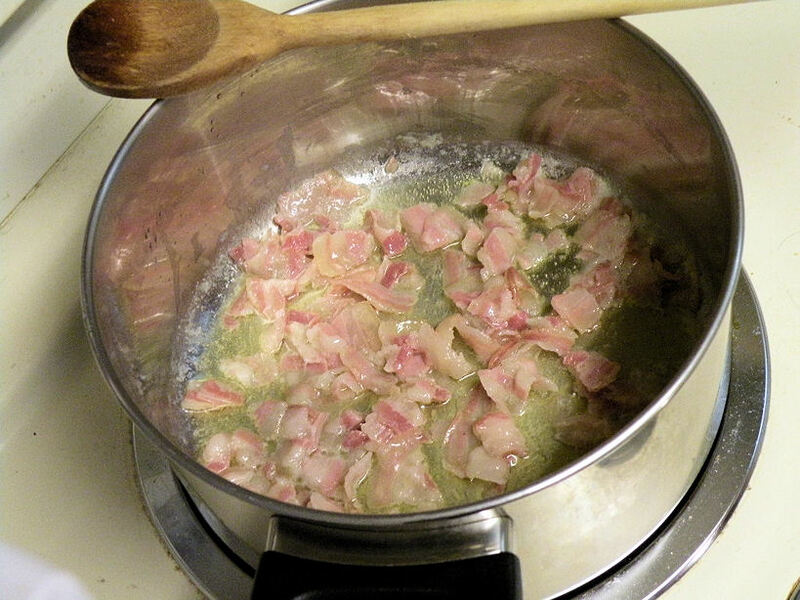 When the butter begins to foam, add the panchetta and stir fry until golden brown. 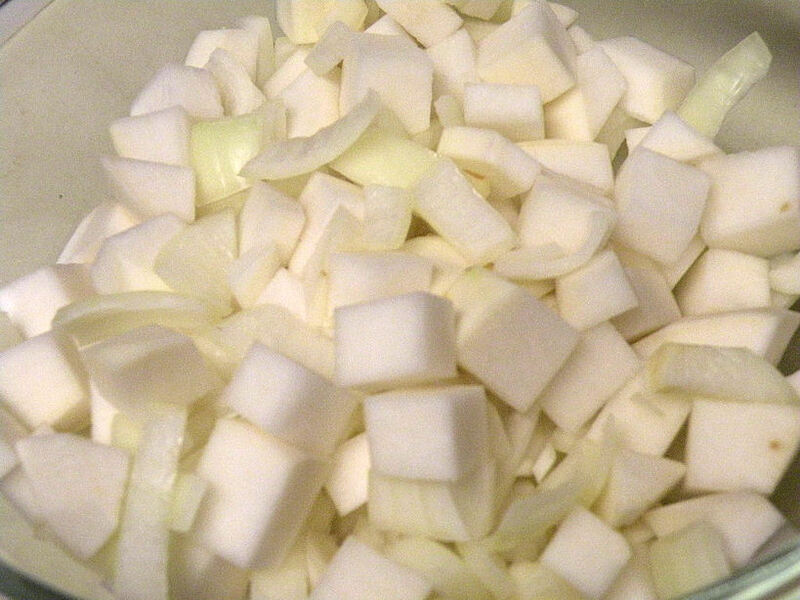 Stir in the onion, turnips and salt and pepper and cook until the veggies are soft. 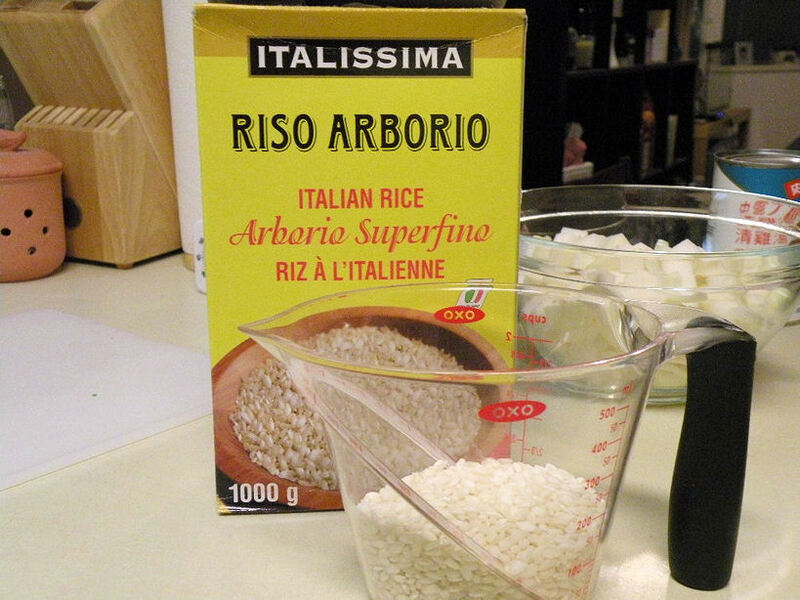 Add the rice and oil to the veggies and stir until the rice is toasted. Then pour in the stock to cover and partially cover the pot and simmer for 15-20 minutes. Season to taste. Stir in the parmesan just before serving. We fed Little Patch some of our risotto. He loves risotto. Now there's more Italian in him than Chinese. He can be the first Chinese-Guido to be cast on Jersey Shores. 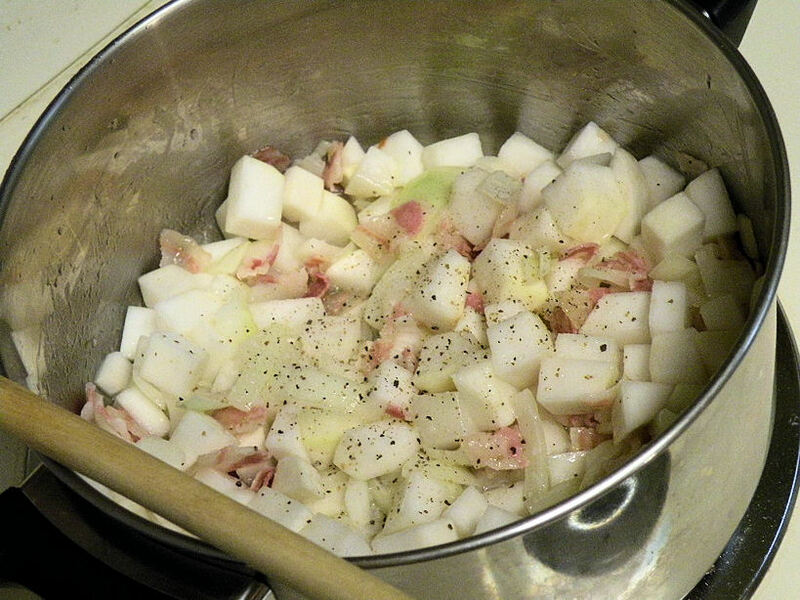 It's tasty because of the panchetta, turnips didn't add too much flavour, but this is a nice 'stew'. I wonder if it's supposed to be thick or if the rice expanded while we were finishing up the other dishes. But I would make this hearty soup again. Patch is a great cook and he loves to cook ethnic cuisine. He reads up on a lot preparation methods and understands cooking in theory. I always tell him that if his current career doesn’t work out, he can always go to culinary school. He would be an excellent hobby chef but we live in a dump and I’m sure that would somehow cloud judgement on his food! I like to make simple meals out of everyday ingredients while he loves making things from scratch, searching all over Vancouver to find his ingredients. I’m Nigella and he’s Ramsay. 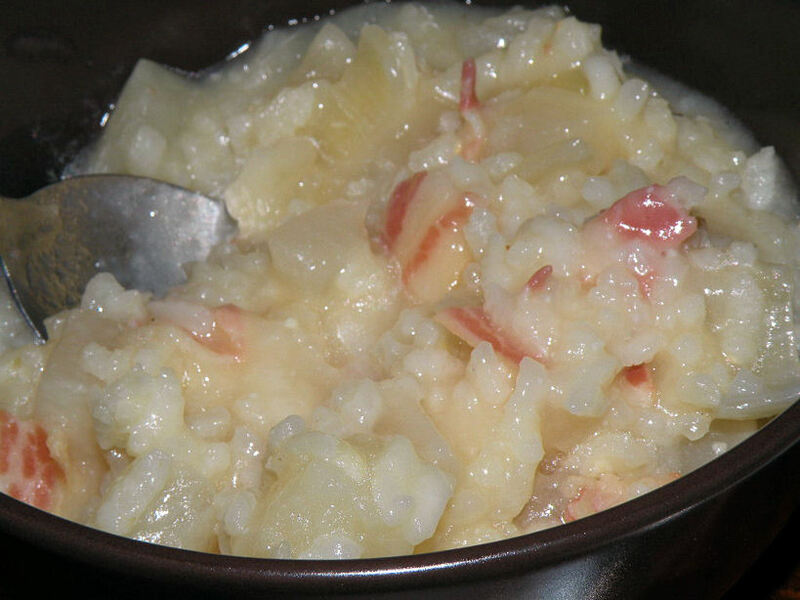 He used to render his own pork fat to use in his cooking. After a few months of cooking in pure pork fat, his doctor put him on Lipitor. That didn’t stop him from cooking what he loves, he just adds flax seed to control the cholesterol. LOL! I want to find something that he normally doesn’t eat… like seafood. 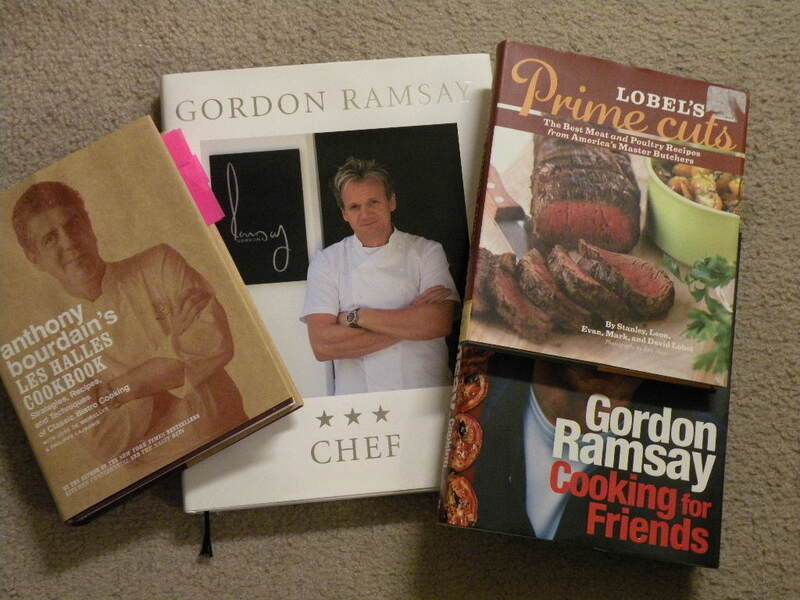 I get to pick anything from his collection of recipe books and I’ve narrowed it down to 4. If he has the French Laundry book, I would probably pick everything from that book. no heavy pasta as they waste tummy real estate. update: no steak and any part of lamb since he makes it often, so I put Lobel’s Prime Cuts back on the bookshelf. If you ask me what my favourite foods are, I can’t say something specific like chicken or a dish name. A word to describe what I like to eat is ‘Raw‘. I like my steak still moo-ing, my fish still flapping and my octopus tentacles still fighting in my throat, well, you get the idea. My dream buffet is a farm. I salivate when I’m at a petting zoo. Baby animals! But please don’t tell my son that though.